1. Easy to reach bedside light. 2. Book you’re currently reading or journal (should be light in content, save the heavy stuff for waking hours). Other books should be kept out of sight so you don’t feel pressure to get through one to the next. 3. Classic glass decanter of water to prevent trips up and down the stairs to the kitchen. 4. A small travel clock with alarm function. 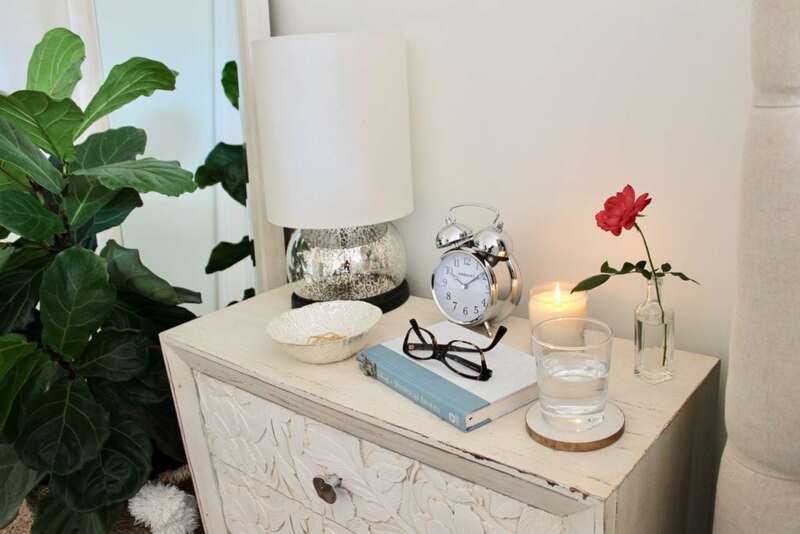 Phones can be kept in the room, but not on the bedside table. Having a phone bedside you can be distracting when falling asleep, or if you wake during the night. Consider keeping your phone on your dresser or just a few steps away in case of emergency if needed. 5. Small dish to store jewelry and watches. 6. Candle or diffuser in a relaxing scent, try lavender or eucalyptus. 7. Small bouquet or plant. 8. 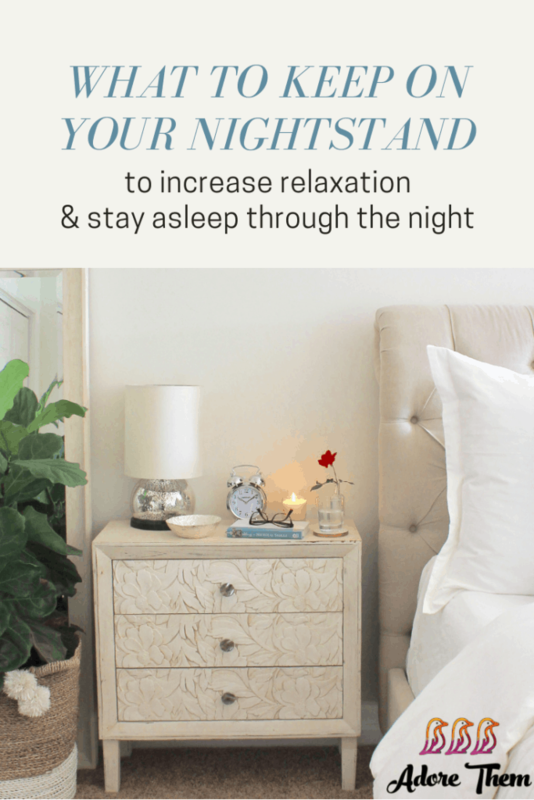 This last tip is not so much for the nightstand, but will help your mind relax – Make your bed. 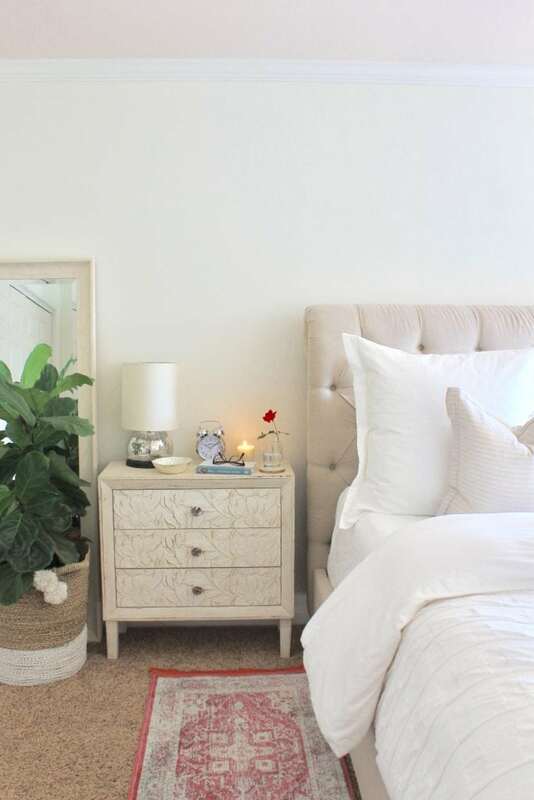 By making your bed each morning, it creates an invitation when you approach it in the evening.